We pushed out an update to Tasty Pins today that focused on some minor improvements for the hidden Pinterest images. Here’s what you’ll find in version 0.6.0! 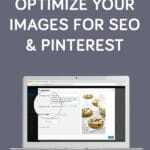 Most tools that scrape the page for images to save to Pinterest have size limitations for the images that they’ll pick up. This prevents them from showing things such as decorative icons as options to save. If your site’s settings have the “thumbnail” image size set too small, this can prevent your hidden images from showing up as options. If this is the case for you, you can use the new tasty_pins_hidden_image_thumbnail_size filter to use a different image size. Also aimed at helping tools pick up the Tasty Pins hidden images, this update adds some classes to the hidden image HTML.